So, today we start Rabbigeddon here at PlaidDadBlog. There’s a lot of work that has to happen over the next few months, but honestly, after making that video we almost feel like throwing in the towel. It may never get better than that. RABBIGEDDON! Anyway, please keep checking in with us on PlaidDadBlog. We’ll have updates on the rabbitry and the rabbit inhabitants. This is a great project for your family if you want to save money at the grocery store. 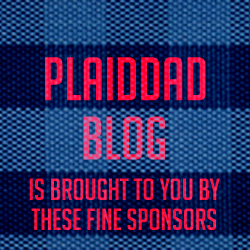 If you want more detailed instructions on anything we do, contact us here or at PlaidDadBlog@Gmail.com. We’d be happy to help you and your family start your own rabbitry.